Avery was wide awake when she first arrived~ oh my, did she make amazing eye contact for a newborn! We breezed through family and sibling photos- I’m especially in love with the quilt that was her great- grandma’s. 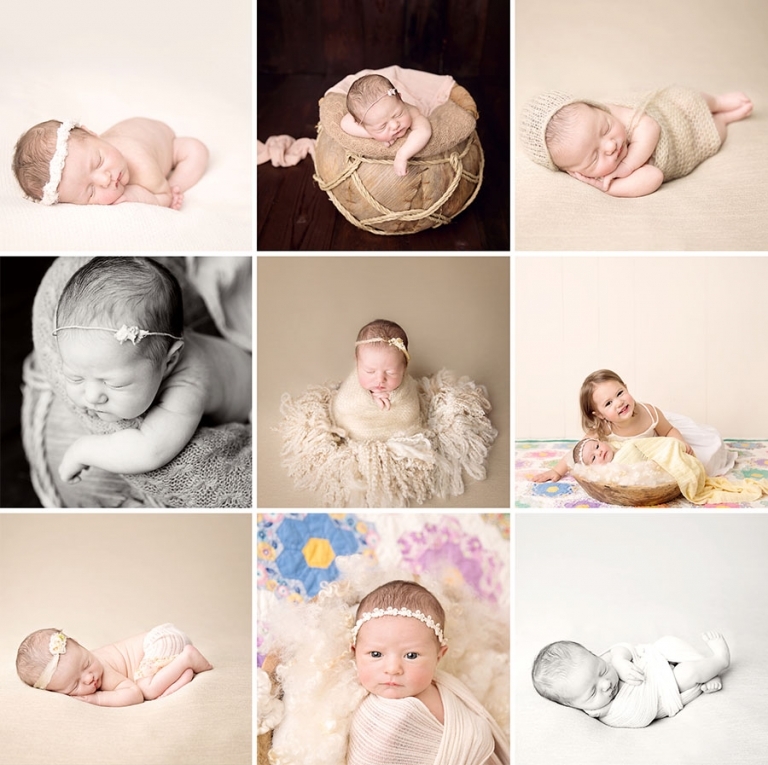 What an amazing heirloom to incorporate into her newborn session! Big sister, Jules was just as happy to pose with her little sister. These two are going to have so much fun together! The beige backdrop is a new favorite from Fancy Fabrics and Props. It went perfectly with the skirt set from Petals and Plaid Children’s Boutique and the wrap and bonnet from Auspicious Laundry. I’m sure if you have read previous blog posts, you know how much I love neutrals. They are so timeless and go with just about anything- I’m sure these will look amazing on their walls! Thank you for stopping by, if you are interested in a newborn session, you may find more information here. Interested in pricing or portfolio? Click the links to learn more.